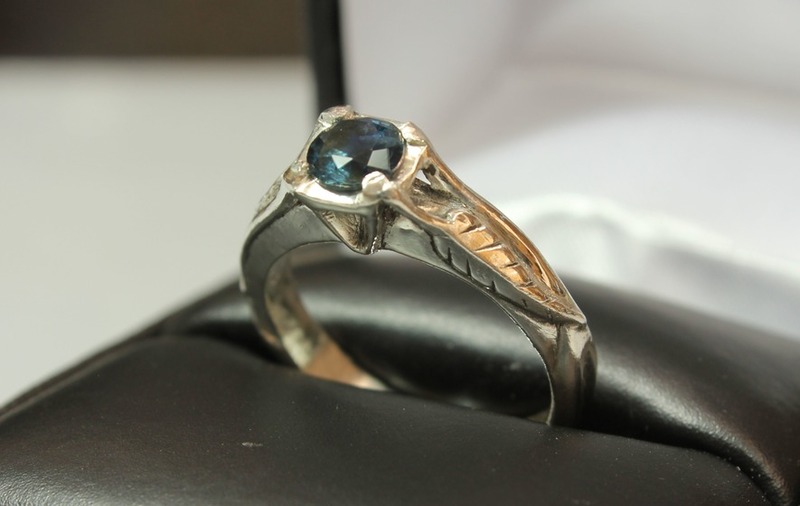 Josiah Dyment, a self-taught metalsmith, gifted his fiancee with the unique piece after three years together. In the ultimate romantic gesture, Josiah Dyment went the extra mile for his girlfriend and set out to make her engagement ring. To accompany the heartfelt gift, the 28-year-old advanced manufacturing student filmed the entire production process, which saw the silver handmade band take shape from a nondescript piece of metal. The ring, which was made as a “special memento” for the pair, who have been together for three years, took less than a month to finish. Dyment, who also works as a museum security guard, gathered the equipment and carried out research over the year-and-a-half leading up to his proposal. He was inspired to carve out his own piece of jewellery after trawling through several pre-made options. He told the Press Association: “It wasn’t long after we first started dating that I knew she was the one I wanted to spend the rest of my life with. “After looking at different rings and researching jewellers, I started finding information about the tools and techniques used to make jewellery. I found that the more I began to break down the process of how engagement rings are made, the more confident I felt that it was possible to make one from home. Some of the equipment, including the electric kiln, were also built from scratch, to cut down on cost. Despite having little experience as a metalsmith, Dyment taught himself the entire process. “Every step in the process came with its own set of techniques that I would have to learn first. 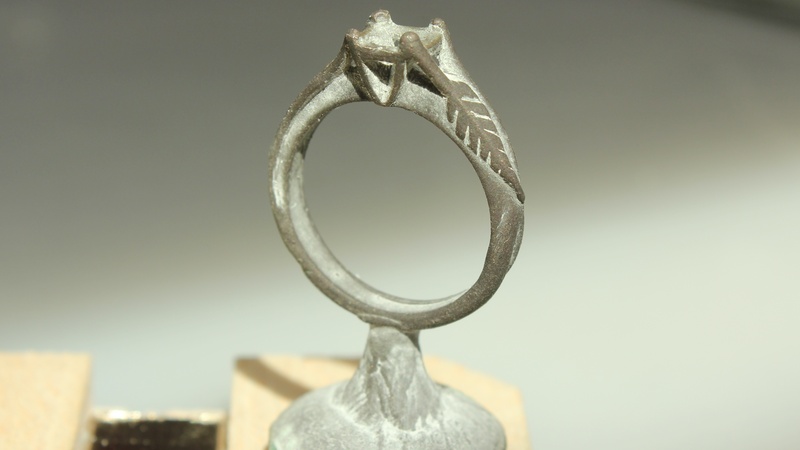 I tried to learn everything I could about the casting process, stone setting, wax carving, and the metallurgy behind why some of the steps were needed,” he explained. Dyment, who lives with Cayla, also had to tip-toe around his future wife, stealing a few hours out of every day to work on the precious gift, which he kept strictly out of her sight. 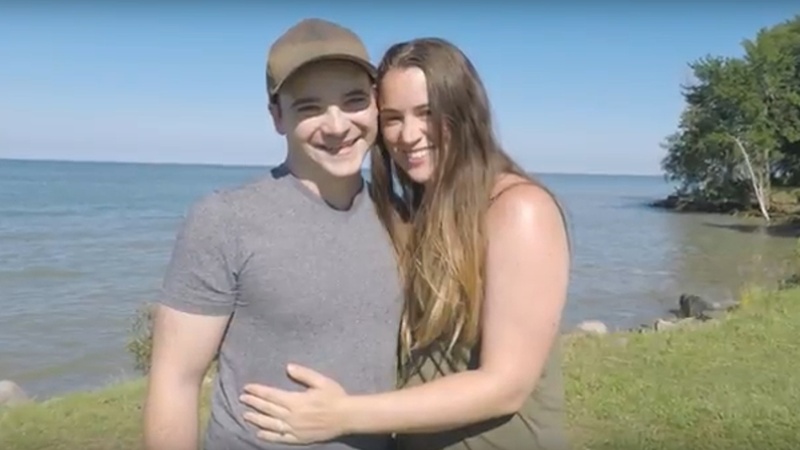 His dedication and craft culminated in that special moment when he presented the one-of-a-kind ring to Cayla during his proposal at Port Austin in Michigan. Dyment’s labour of love paid off – social work student Cayla said she was “amazed” at the beautiful creation, which features two intricate, carved out leaves on either side of a precious stone. “I feel so loved that he spent so much time and energy on making my engagement ring. Making the video too, so that we could have it as a memento of this time, was so thoughtful.